Please call to discuss delivery options. Originating in Japan and created over 20-30 years, these sculptural trees create a maximum impact in any garden not just Japanese gardens. However Japanese cloud trees are synonymous with Japan and its heritage. These are statement trees providing focus in the garden. Write a review about "Pinus sylvestris bonsai tree"
We want to know your opinion! 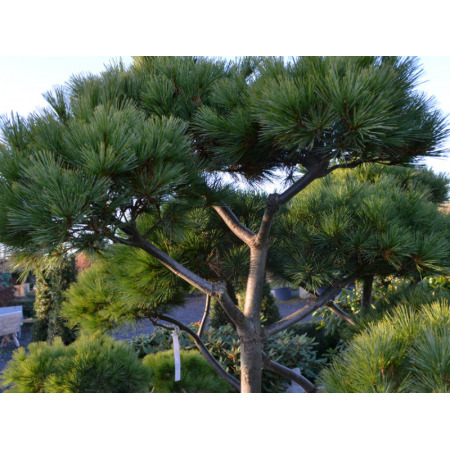 Write a review about the product “Pinus sylvestris bonsai tree” and win a National Gardening Gift Voucher of £25 ! Would you like to buy Pinus sylvestris bonsai tree? Visit Derwen Wholesale!